Few things are more refreshing than some sweet watermelon on a hot summer day. Watermelon is rich in water, up to 92%, which makes it a great alternative to aid with hydration. It is the perfect snack right off the rind, but if you are looking to add an extra punch, here are two great ways to make watermelon more interesting. If you are looking for an interesting way to dress up this snack and one that will impress your guests at a summer BBQ. Take three simple ingredients for this tasty treat! 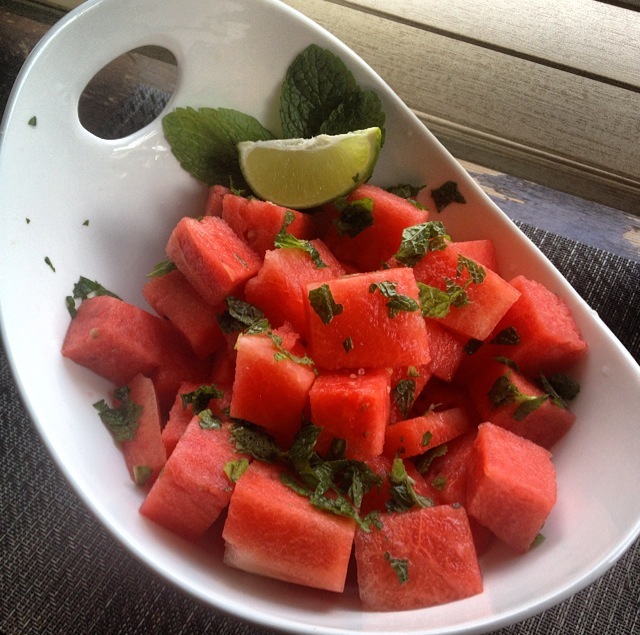 Cube watermelon, muddle the mint and lime together, and then drizzle the mint/lime mixture over your cubes. 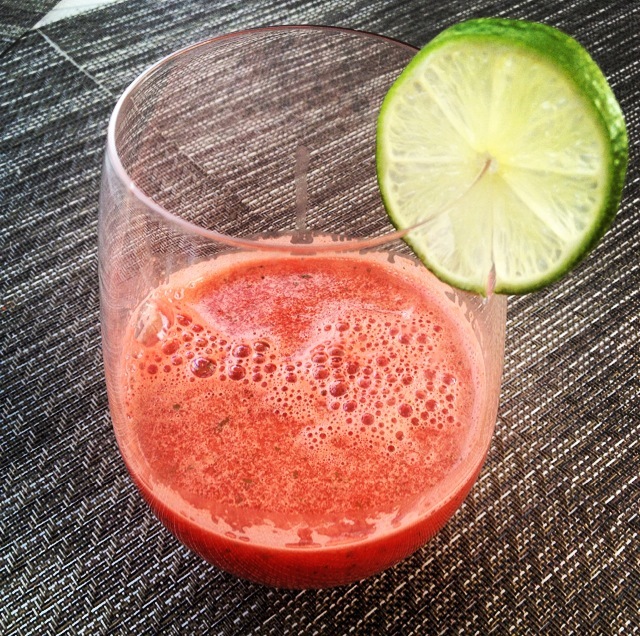 Now, if you prefer something to sip on, Watermelonade is perfect to refresh and rehydrate. 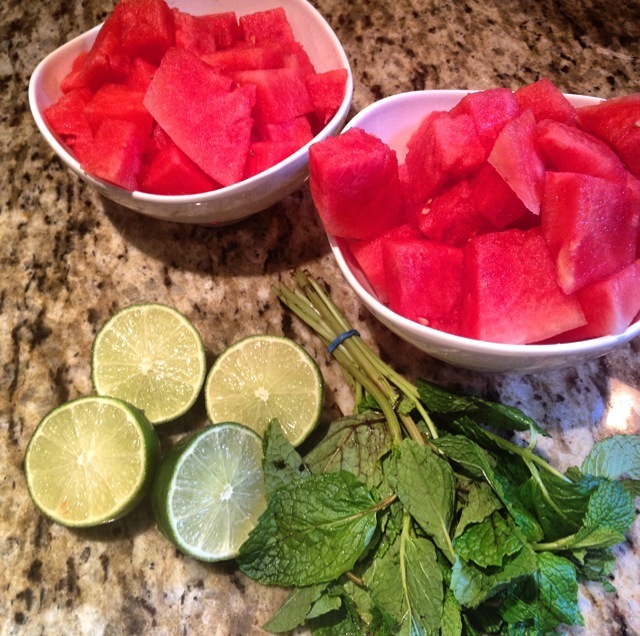 Simply add chunks of watermelon, lime juice and mint in your blender and voila-the perfect summer sipper! Vitamin A: Benefits eye health and boosts immunity. Also helps maintain healthy skin, teeth, and skeletal and soft tissue. Vitamin B6: Helps build antibodies needed to fight disease. The body uses B6 to help break down protein and converts it to energy. Vitamin C: Strengthens immunity, to defend against infections and harmful free radicals. Heals wounds, prevents cell damage, promotes healthy teeth and gums. Potassium: Benefits muscle and nerve support. Necessary for water balance which helps with muscle cramps.